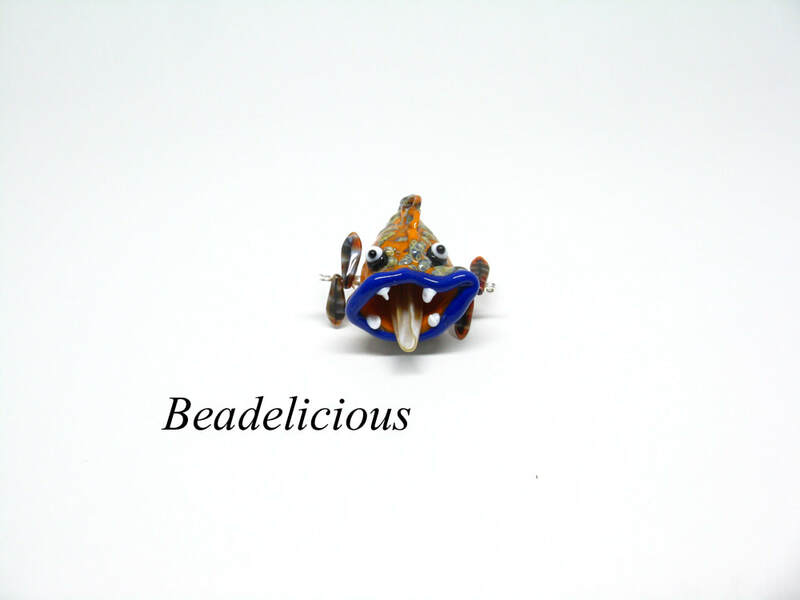 Everyone loves to feel special, so all of our Jewelry is "ONE OF A KIND" only. Please note that Shipping charges are extra. 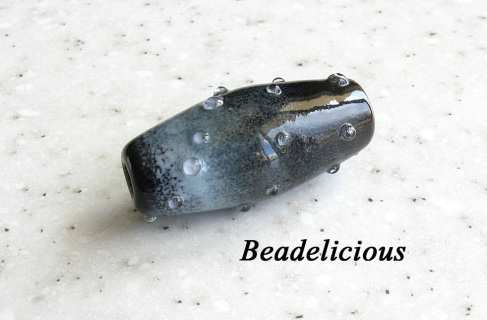 This lentil bead is made with periwinkle and decorated with enamels and black to bring it to life. 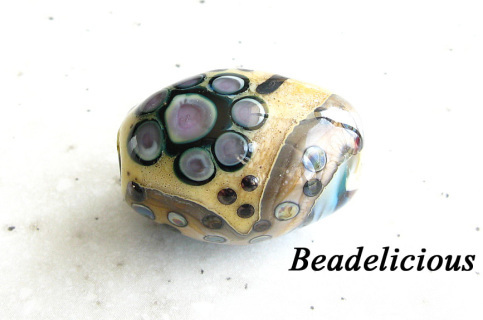 This bead is made white with several enamels and black to bring the jellyfish to life. 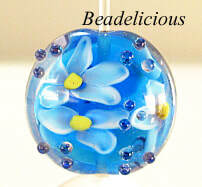 This lentil shaped bead is made with aqua blue, clear, white, yellow and ink blue. This bead is made with black and clear glass, decorated with enamels to give the graduated colors. This handmade barrel shaped bead is done in ivory, black, aqua, purples, clear and silver leaf. 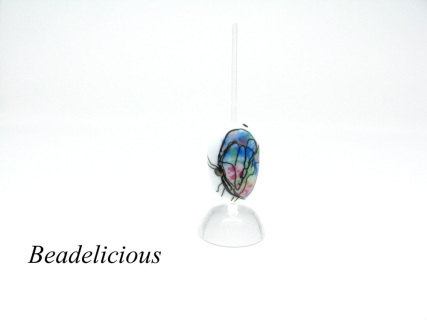 This bead is made with white glass and decorated with enamels and black to form a butterfly. These handmade glass beads are made with a large hole and sterling silver lined to fit over chains. 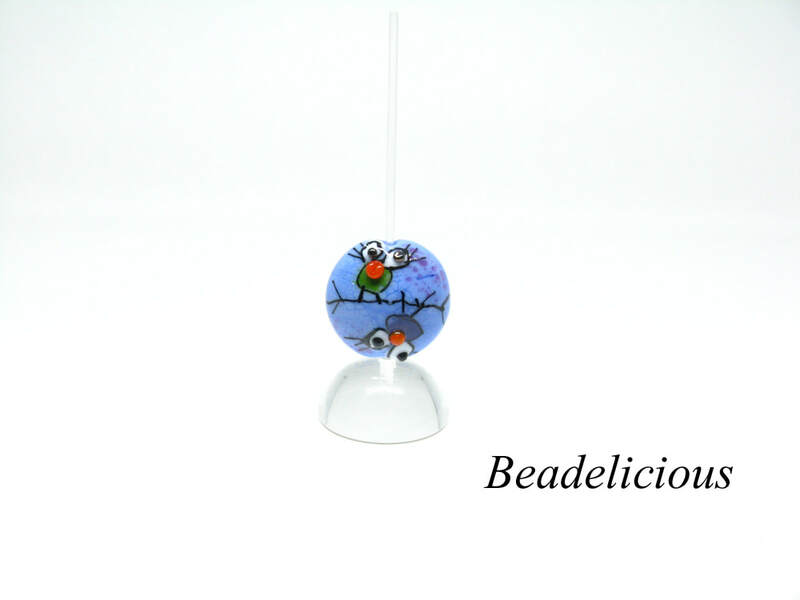 The beads are sold by the each. Can ask for custom colors. We will do our best to match the colors. These little guys are cute. 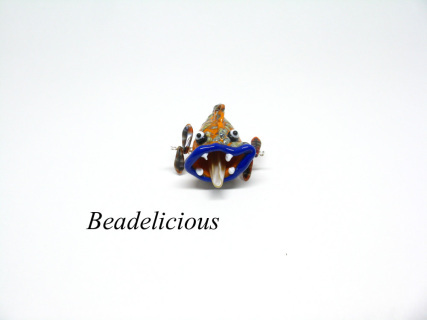 They are all handmade from glass, decorated with glass dagger beads for flippers and a shell for the tongue. 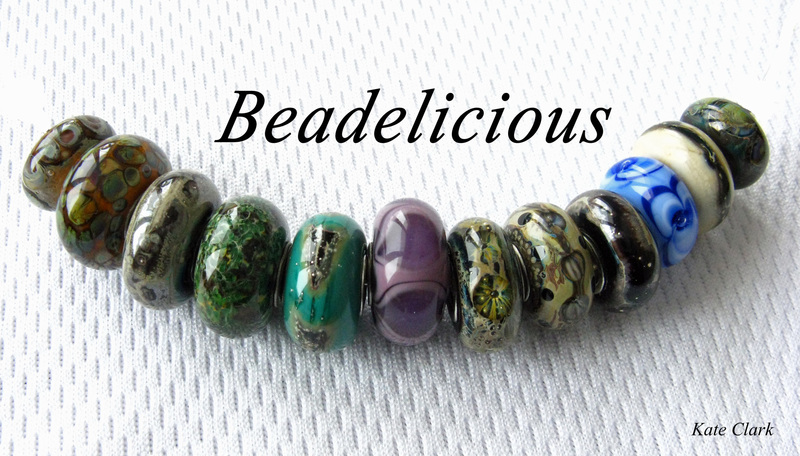 They come in all sorts of colors. 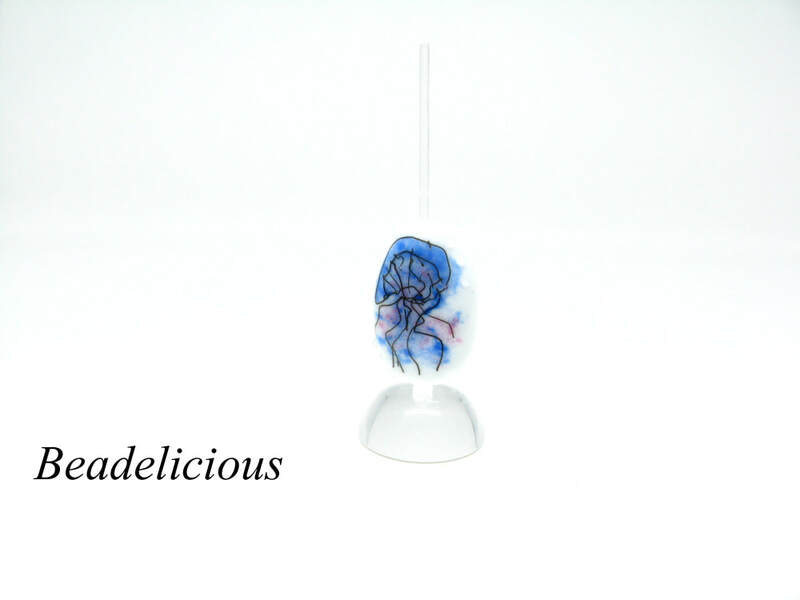 If you want a specific color, please contact me.